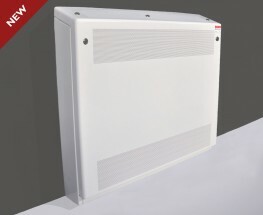 Contour Heating Products Ltd > News > How Do You Know Which LST Radiators To Specify? How Do You Know Which LST Radiators To Specify? When installing LST radiators into a space, it can be difficult to know which ones you will need when specifying the best options for your space. Here at Contour, we have been blogging about how you can understand which LST radiators to specify when installing them into your school, hospital, care home or other commercial space. Depending on the type of space you are installing low surface temperature radiators into, you will have certain needs that need to be met. The above image shows how Contour would recommend particular LST radiators and other heating products based on the demands of the space. For example; if you are installing a heating solution into a residential care home then we would recommend a DeepClean LST radiator that could be either wall or floor mounted and either flat or sloping top. Alternatively, we could also recommend out Covora LST radiator. This would differ from if you were looking to install a heating solution into a space which had ligature concerns such as a mental health unit, prison or custody suite. In these spaces, our recommendation would be centred on addressing anti-ligature requirements in the heating solution. We understand, however, that sometimes there are additional requirements that need to be addressed and that this can involve varying the sizes and the type of LST radiator that needs to be specified. 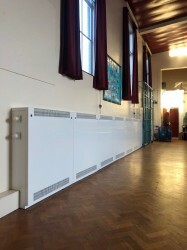 We offer a type 33 LST radiator, which is the same as a type 22 LST, but it has an additional panel and convector as well as the double panel and convector that you would otherwise receive. This can improve the overall heat output dramatically. We can also work outside of our standard sizes to accommodate for smaller or larger spaces that need bespoke options to create a heating solution that is suitable for the area available. This includes installing vertical LST radiators in spaces where we need to make use of the height of the wall if the width is limited. To know which LST radiator to specify, it’s important to consider what type of environment you’re installing them into to ensure that you get the right type of radiator for you. If there are ligature concerns, you may need a different radiator to a space with low surface temperatures are the priority. Contour work on a bespoke basis with our customers to ensure that the heating solutions that we bring to you are an exact match for your space and needs.